Established in 1891, Fenech & Fenech Advocates is a multi-disciplinary full service law firm with a predominantly international clientele providing tailored, value driven legal services across a wide range of practice areas, ranging from M&A to financial services, FinTech, tax, TMT law, IP law and maritime law, among others. 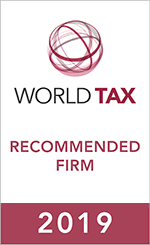 The firm's Tax & Immigration Law team is the recognised leading tax law practice in Malta, advising on direct and indirect tax, personal tax and immigration issues. The firm's inhouse corporate services group, the Fenlex Group, includes a team of experienced tax accountants, which team provides tax advisory, payroll and tax/VAT compliance services to a diverse range of clients.